The role of a school nurse is just as important as the average hospital nurse, although school nurses operate within a much smaller scale. School nurses are, just like other medical professionals, responsible for tending to the health of other individuals. In your case, you will be caring for the ill, injured, and/or chronically ill students across the entire student body of one school. As such, you must have the proper training in medical and other career-related protocol. The ILTS School Nurse exam is designed to help with this. There’s no doubt you’ve learned quite a bit while pursuing your certification. 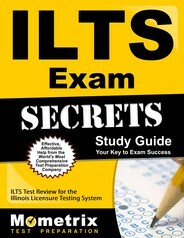 The purpose of the ILTS exam is to measure how much you’ve retained and, by proxy, whether you’re ready to start working in your field professionally. You can’t proceed to become an official school nurse without earning a passing score on this exam. Like every other ILTS subject test, the ILTS School Nurse test spans for three hours and 45 minutes. The Mometrix Test Preparation team cares about your success. That’s why we’ve composed our ILTS School Nurse practice test, which you can find on this page. Our practice test was designed with your needs in mind, and is meant to serve as an accurate mirror of the real ILTS exam’s contents. 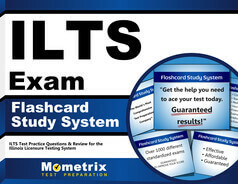 We recommend this study tool to anyone looking to get familiar with how the real ILTS test will work, as well as anyone interested in learning which areas of the exam their weaknesses and strengths lie in so they can customize their study plan. We hope our practice test will become an effective part of your study plan. Good luck!